Three Amigos, encounter the tyrant El Gapo and German arms dealer! Sunday afternoon, my feet kicked up and perched on my ottoman, watching my all-time classic comedy movie The Three Amigos, and in the background the subtle bumping of Mexican polka music transmitting from my neighbor’s backyard fiesta, which is innocuous to my hearing senses, like the flying buzzes of the Ghetto Birds late at night, they are expected events, and It would be weird if I didn’t hear these things! I had a Kung Fu grip on my Negra Modelo beer for my viewing pleasure, it was crisp and lightly flavored with the weather pushing the century mark – the Modelo Negra had no chance for survival, it was gonna get devoured! When intoxicated, for unknown reasons, my wheels start turning and I had an epiphany, while these events were unfolding. 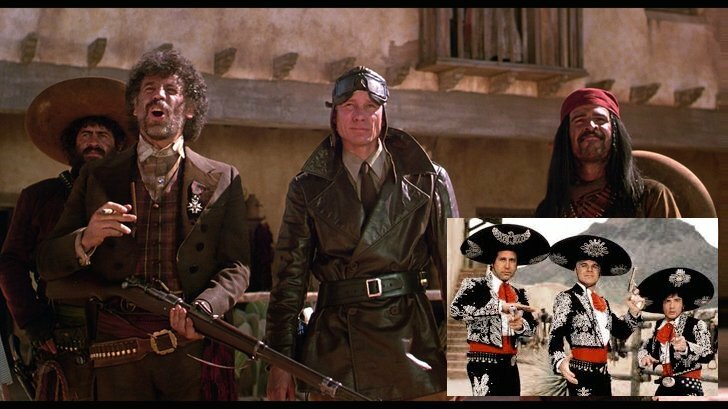 The Three Amigos, in-a nut- shell, – a Mexican village was being bullied by a tyrant “El Guapo” – who, by the way, received arms from a German connection! The Three Amigos come kick El Guapo’s and the Germans asses and save the village. All though this was a comedy, there are some underling loose truths to this movie’s plot. Germans and Mexicans did have a mutual respect for each other, so much, during WWI the U.S. intercepted – the Zimmermann telegram – Germany requesting that Mexico invade U.S. territory!Yikes!!! 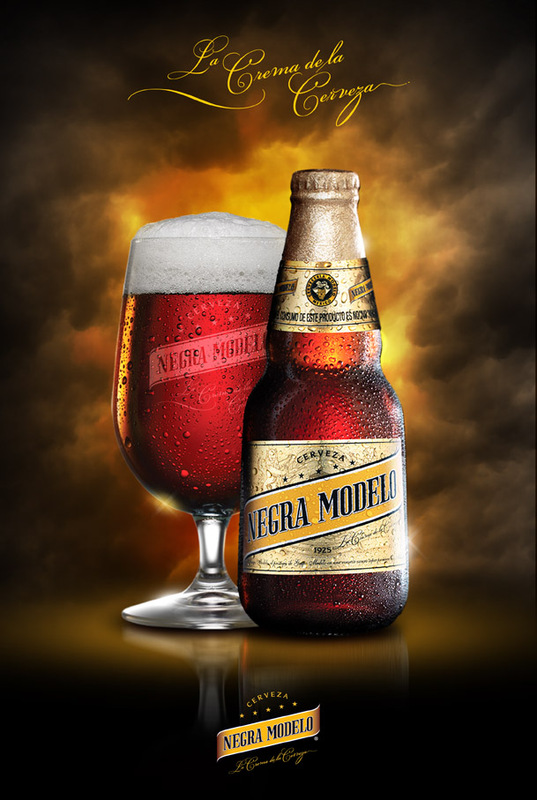 And my Modela Negra is a Lager, and you all know Lagers originated from the Germans!!!! Germany and Mexico have an intertwined history!!! !….see what I did there! So time to do some Sherlock Holmes investigating. There I was searching for German and Mexican influences, and there is some good stuff I found. Germans and Mexicans have a great history of fusion. And Mexican beer being a product of that fusion. We can find German influences that date back to the mid 18th century. Mexican Emperor Ferdinand Maximilano was Austrian, who was put in place of power by Napoleon III, of France. 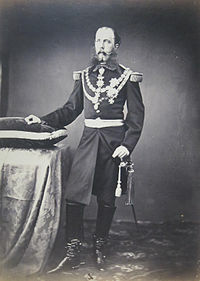 Emperor’s Maxiliano reign was short lived, lasting from 1864 to 1867. Benito Juarez’s movement would eventually wear down the Emperor’s regime, along with the help of U.S. support, Maximilano would be captured and executed. What did his regime bring to Mexico, you may ask? European arts and cuisine. He would encourage Europeans, especially Germans and Austrians to occupy Mexico. Art took more of a European flavor and Empress Carlota, his wife, did fuse indigenous foods with European cuisines. Emperor Maximilian was the first to bring Middle Europe music to México. 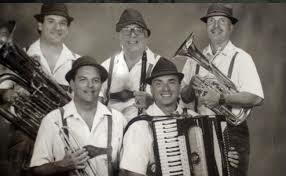 By 1864 he had marching bands and musicians to entertain him and most importantly, when he traveled, he always had two German beer brewmasters with him. This is when the first traces of German Lager beers were introduced to Mexico. You thought Los Angeles was diverse, in the mid 1800 Mexico was inedidated with European immigrants and influences, and Emperor Ferdinand Maximilano solidified east European occupation. By the turn of the 19th century – many German immigrant colonies were settling in the central portion of Mexico and as far south of Chiapas! Who by the way were skilled and Industrial workers. It was during this time German immigrant beer brew masters were concocting Mexican beers for sell! Prior to German beer brewing, although Beer was present in Mexico, due to weak industrial resources, lack of knowledge and taxation to barely and other natural resources, it was limited and many beers were being imported. What propelled Mexican Lagers consumption and demand? What I call the perfect storm, was U.S. prohibition law, nixing the sell of alcohol. Skirting law, many U.S. citizens found their way south of the border to get their golden froth fix on and breweries were sprouting around the borderlands. Also, during this time of Prohibition and the turn of the century – a new style of Lager was hitting the beer circuit. – The Vienna Style lager. A amber to penny hue beer, with robust flavors brewed with sweet malts. Originally brewed by Anton Dreher of Austria – his beer recipe found its way to the Western Hemisphere, leaving a large imprint in Mexican beer history laurel. Vienna lagers were being consumed everywhere…some call these beers, prohibition beers. This leads to my Negra Modelo – out of all the Lager styles. This Mexican- Vienna Style is my favorite. And Modelo Negra makes a great brew. This beer has been in production since 1925! and today Group Modelo owns 80% of Mexico’s beer market! Dos Equis also makes a popular Venna Style lager but the Negra is my favorite. 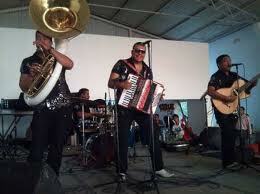 Mexican beers come in many styles from Pilsners (light beer) to dark lagers (Munich Dunkel.) As mentioned earlier, German Lagers are visible in the western hemisphere. From Central to South America, Lagers are the ruling class of beers, and it doesn’t stop there, Asia has a fine brew of Lagers as well. Such as Sapparo and Ashai. Germans have a strong influence in todays Mexican culture, although Maximilano reign was short lived, his influences has left a strong imprint. And on any given weekend, cruising through Los Angeles, you can hear Banda/Norteno music playing echoing in different neighborhoods while party patrons sipping on Coronas (lager) and eating carne asada, and having a good time. Till next time, cheers. ~ by Golden Foam Notes on November 11, 2014. I did not know this part of history. Great story!! Hi Tam, oh yes, very interesting piece of history there. GOP Ian, I hear you on the music, but its been around for almost 2 centuries, people dig the stuff! I have yet to bump into a Mexican Ale or Porter/Stout beer! Actually, made from Mexico. I did run into a Mexican Chocolate Stout, but that was made in Colorado by Copper Kettle Brewing. Technically Colorado was part of the Ancient land of Aztlan, so I guess its kinda of a Mexican beer? – Cheers!